Rural Wisdom is a community development and shared learning project that explores the impact of community-based activities that are led by older people living in rural areas. We’re tackling the issues that older people identify as priorities for their communities and makes opportunities for older people to shape their community to make it work well for them and for other people who live there. We’re developing community-led activities that include and support older people and activities that make local communities work well for people as they get older. We’re building on and encouraging the strengths and experience that older people bring, and encourages other people to value and support this. We’re exploring ways to identify and show the impact of these activities and the contribution to bigger changes. More older people in rural areas having a voice and leading change in their local communities, based on plans that they have co-produced. More older people getting the support they want, and which works well for them, through a wider range of community-based services and other support. Policies in Scotland and Wales supporting older people to continue to live in the rural communities they know, and encouraging older people’s contribution to the life of their communities. The experience of older people in rural areas, and of their communities, contributing to the growth of communities across the UK that value, include and support older people (‘age friendly communities’). The project began in early 2017 and runs for 5 years. We worked with 5 local areas, and talked to people in many more places. We built up links with policy and practice networks. Stage 2 starts in early-mid 2019. We keep in touch with the first areas and spread out to include 4 new areas. We are expanding the work to feed into policy and practice developments. 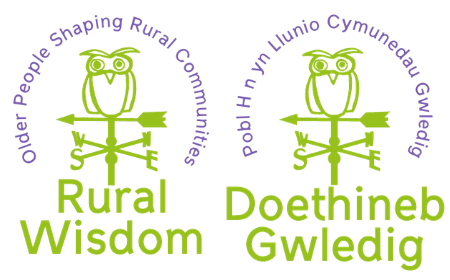 Read our blog and sign up to our newsletter to keep up with the latest Rural Wisdom news.